'Tis the season for all this pumpkin! October rolls around and everything is pumpkin flavoured or pumpkin scented, from porridge to candles and lattes to pancakes. 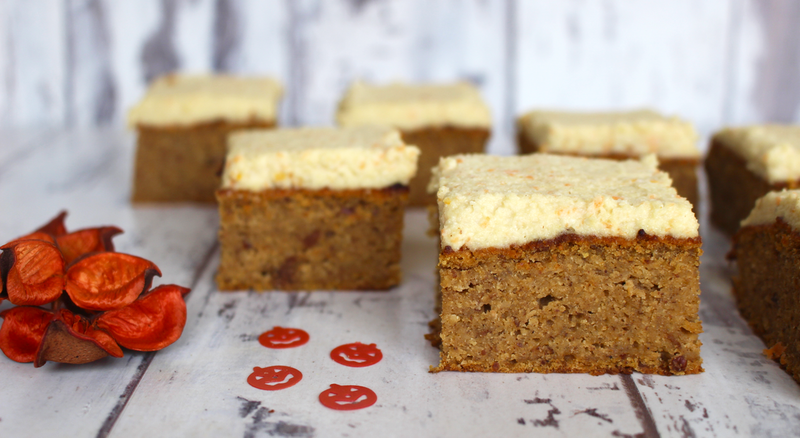 I decided to jump on the pumpkin bandwagon this year and make some delicious pumpkin spiced cakes with a creamy orange cashew frosting! Gluten free, suitable for vegans and refined sugar free but the most amazing texture, mouth-wateringly tasty and full of flavour. Pumpkin is an amazing food to eat all year round - it's bursting with vitamin A which is essential for your eye health and helps to maintain glowing skin and shiny hair. 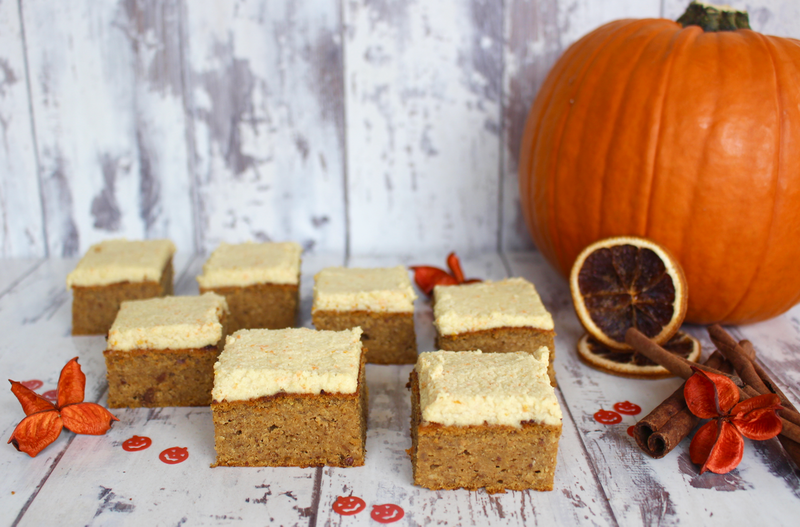 Pumpkin is also full of fibre, vitamin C and vitamin E! 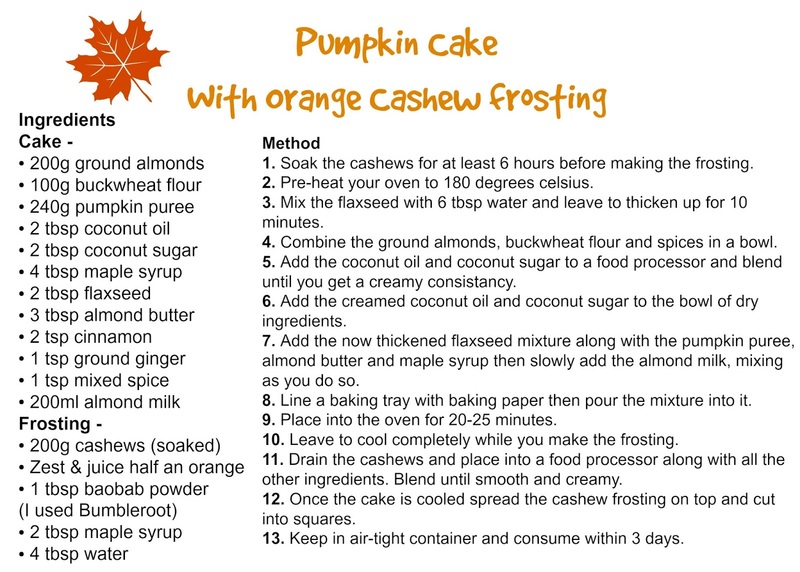 The pumpkin combined with baobab and orange in the cashew frosting makes these cakes true immune-boosting sweet-treats and they'll help to fight off any nasty colds that are lingering. I added baobab, which is a superfood powder extremely rich in vitamin C, to the frosting because it holds such a gorgeous, zesty flavour that compliments the pumpkin sponge cake perfectly. You can get the baobab I used here, it's by Bumbleroot Food! These cakes are great to make for a Halloween party or for an Autumnal treat with a cup of team.